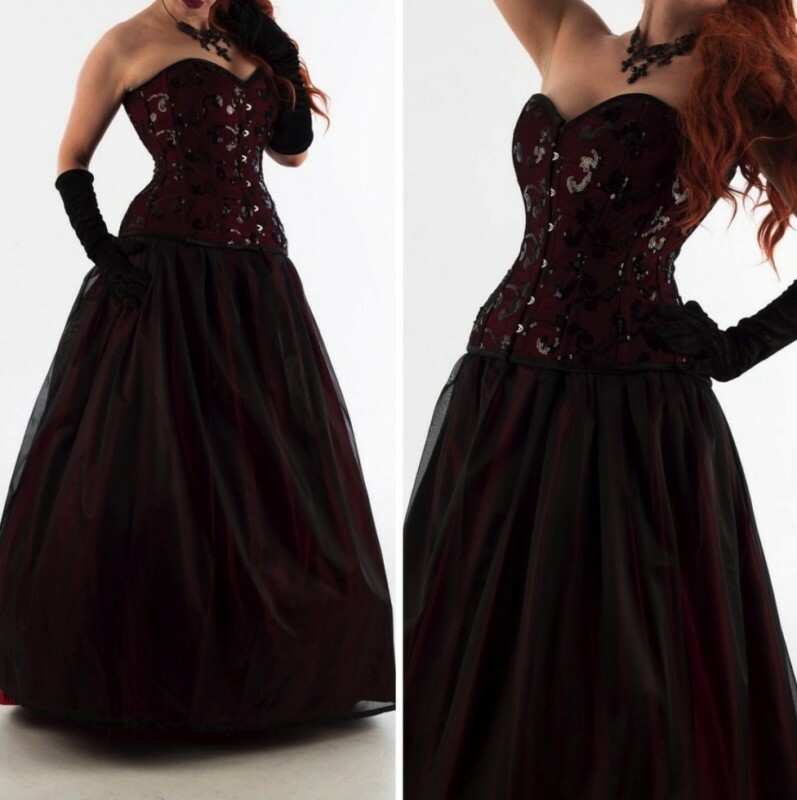 Here’s a stunning Victorian Goth Bridal Gown in beautiful Venice lace! This fabulous gown is a grayish/silver color with a hint of blue. 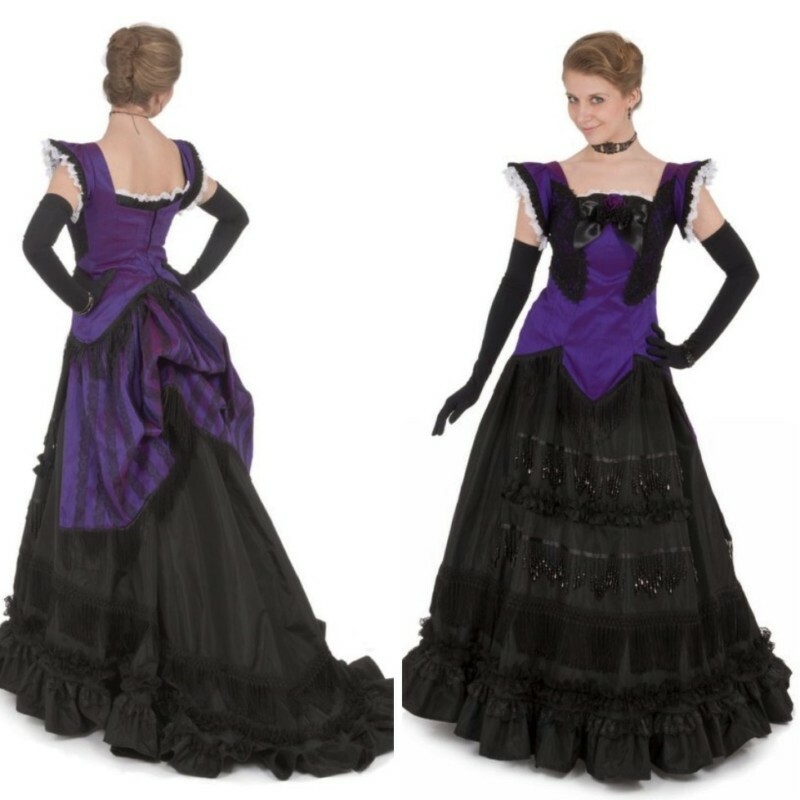 The gown has Victorian styling with a sweetheart neckline and deep V-back, with long puffed Victorian sleeves. 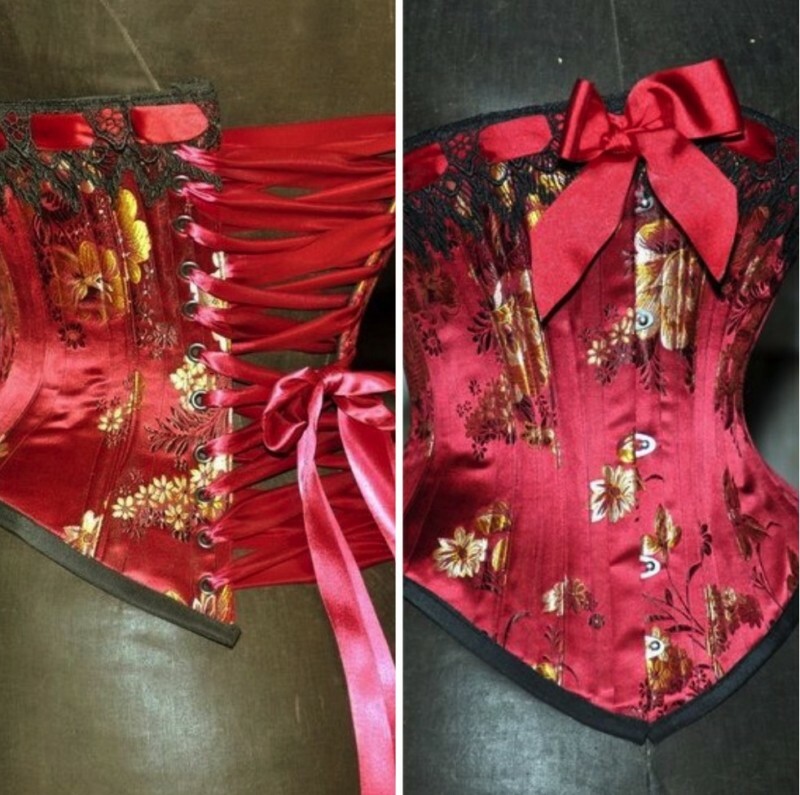 There are sequins and rhinestones on the bodice. 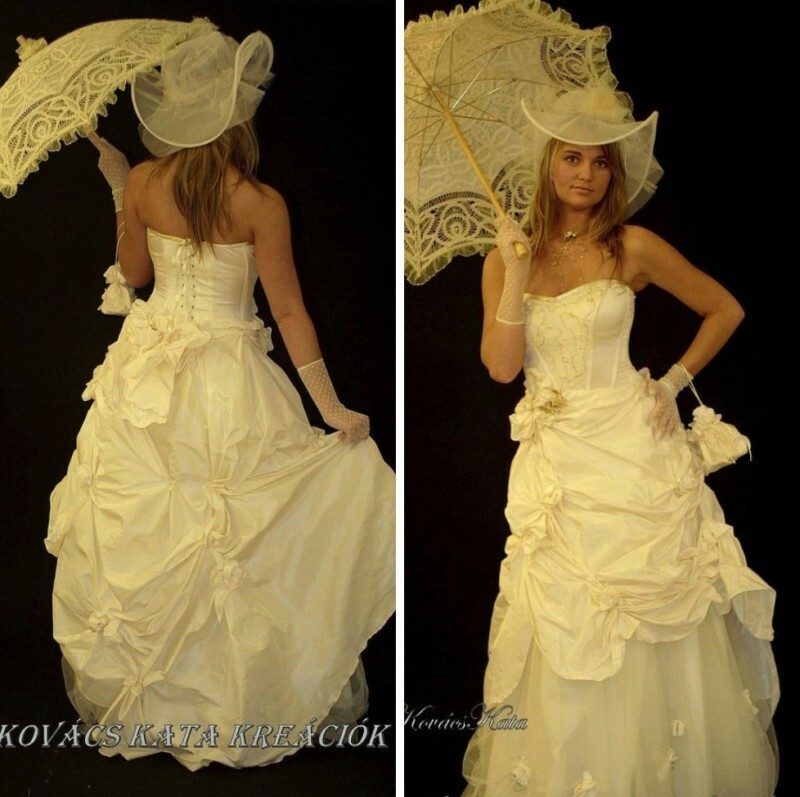 The gown has a fitted bodice and flattering dropped waist, with a long full skirt. It has a full length train, that does hike up in back with a hidden metal hook. 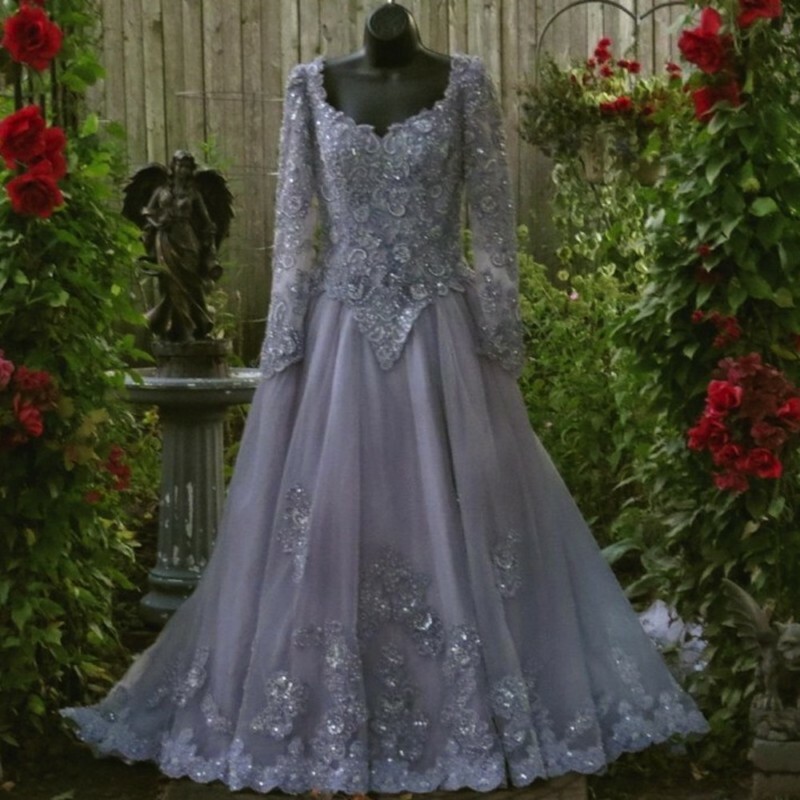 It has elegant lace sleeves.